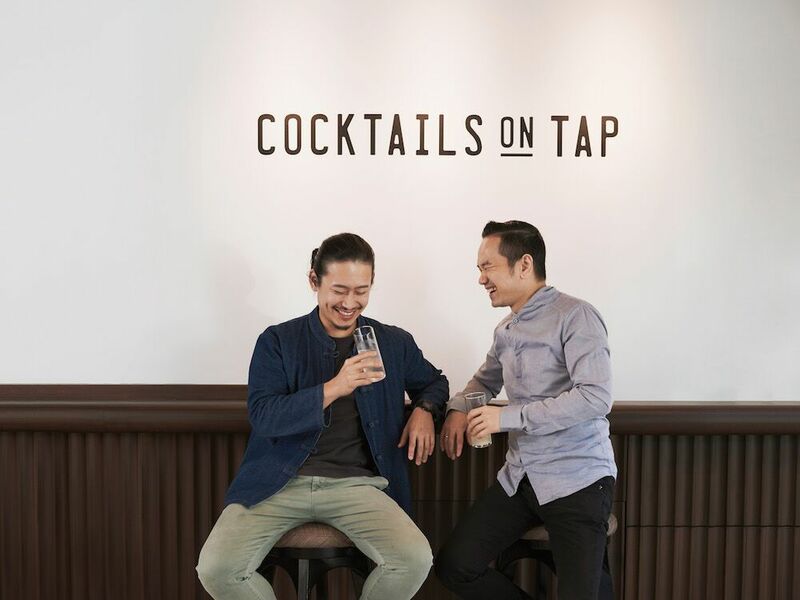 Angus Zou and Antonio Lai enjoying one of their on-tap cocktails. The only downfall of every great cocktail is the time it takes to make a great cocktail. 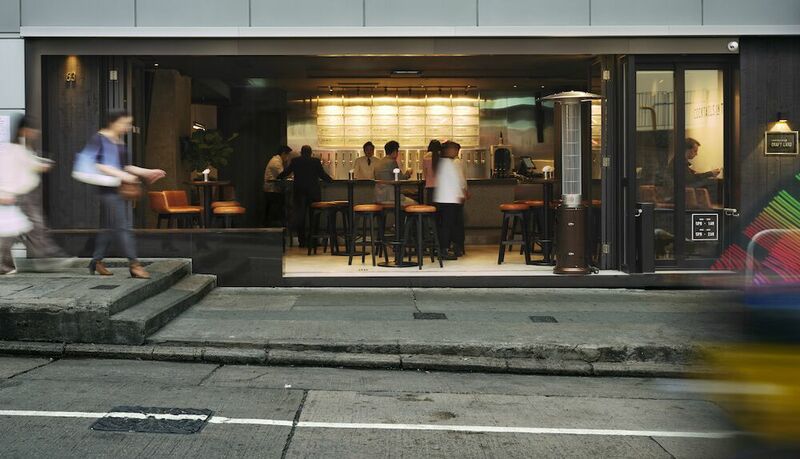 Award-winning Antonio Lai and Angus Zou have teamed up to open a bar in Hong Kong that has eliminated the one con to the many pros of a beautiful drink. ‘Draft Land’ has ventured out with a revolutionary concept of having absolutely every cocktail on tap and at affordable prices. With a strong backbone of creativity and innovation from the two renowned cocktail whisperers, the bar has been accepted by the public with open arms. 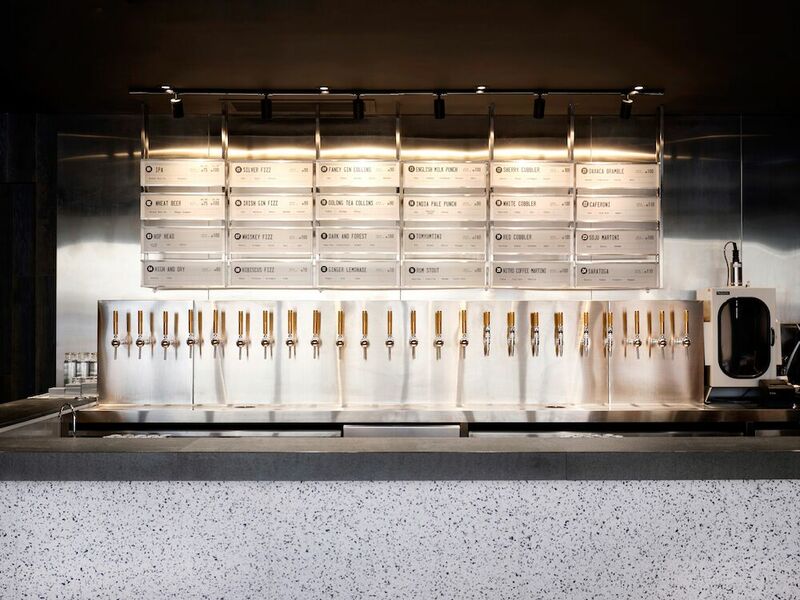 The bar features up to 40 original cocktails created by the duo and are available on a rotational basis among the 24 taps. 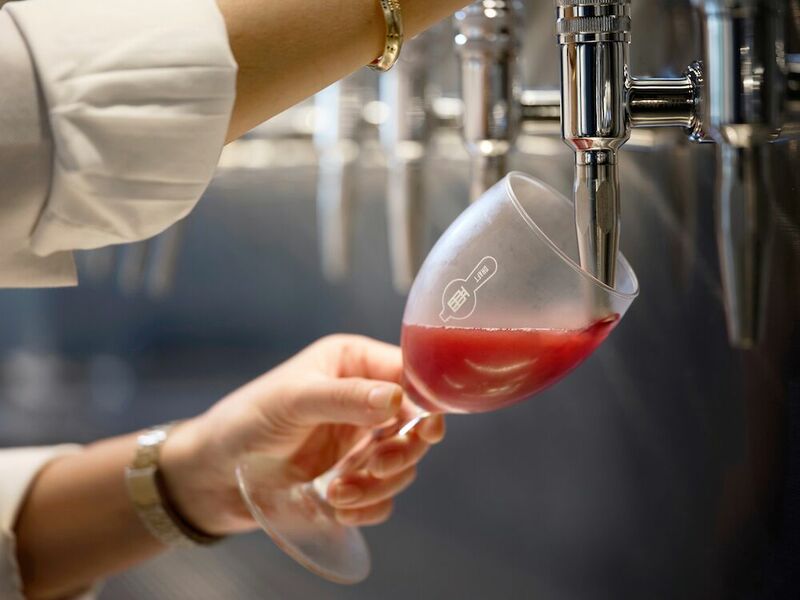 The bar operates with a distillery system that injects nitrogen or carbon dioxide simultaneously with the beverage as it’s being poured. Providing an efficient, sustainable and affordable cocktail. This also allows customers to have a taste-test before committing to a drink. Which in itself is unheard of in the cocktail world. The bar also has a no garnish policy with their cocktails. Keeping their menu as clean and uncomplicated as possible. Which only further emphasises their concept of fast and enjoyable cocktails, without the fuss. The interior of the bar matches this aesthetic in a modern and industrial way. Using metal and concrete to their advantage. Some of the menus favourites include the Silver Fizz (HK90$), which is a simple infusion of gin, dill and citrus. A subtle but aromatic cocktail created by Zou himself. Another fan favourite is the Soju Martini (HK$120). If the two weren’t already individually lethal, then this one is sure to do the job. With flavours of soju, sherry, pandam and hints of plum. Two mocktails are also on the menu with a choice between the Hibiscus Fizz (HK$70) that’s flavoured with honey and pineapple. And, a Ginger Lemonade (HK$70) with soda and lime. Zou and Lai have set out to create an environment that is relaxed, simple and unique. These are fundamental yet straightforward elements for any business. However, ‘Draft Land’ has done so with a subtle twist, straight up.